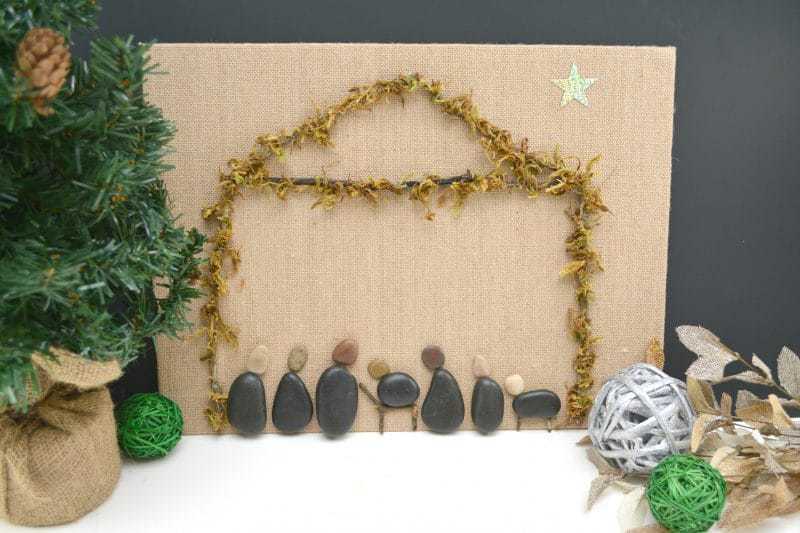 This rock nativity canvas is the perfect way to focus on the true meaning of Christmas with a DIY wall art project that you can cherish for years to come. 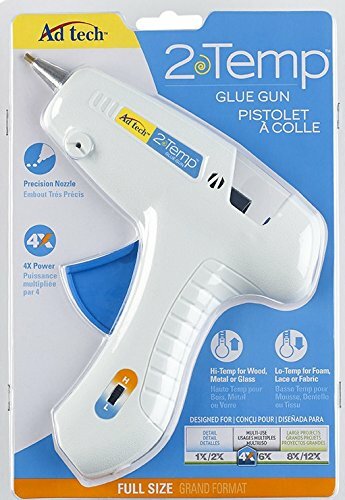 Sure there are plenty of fun Christmas craft projects – in fact we post a lot of fun Christmas crafts. But if you’re a Christian, you know that the real meaning behind Christmas is the celebration of the birth of Jesus. As a parent, you likely want to pass along the real meaning of Christmas to your children. One way to do that is by telling the Christmas story in a fun way. This can be done through cartoons, books, and even crafts. 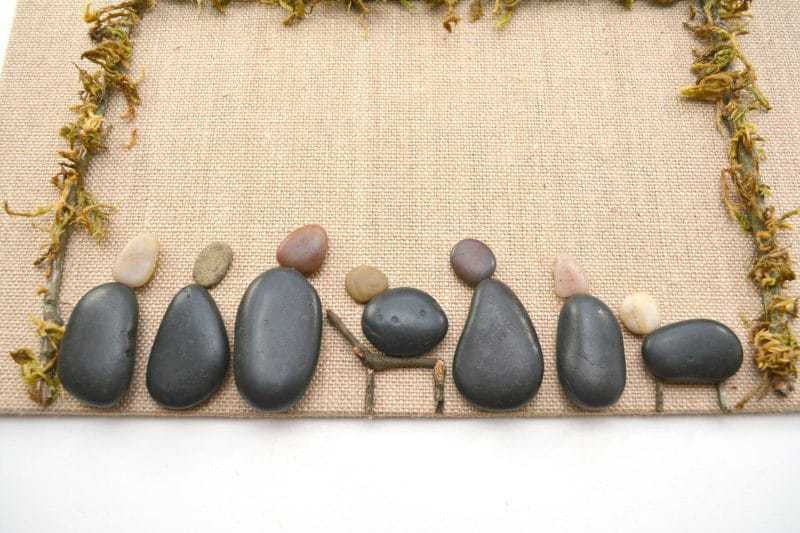 This rock nativity canvas wall art can be made while you tell your child the story of the birth of Jesus. 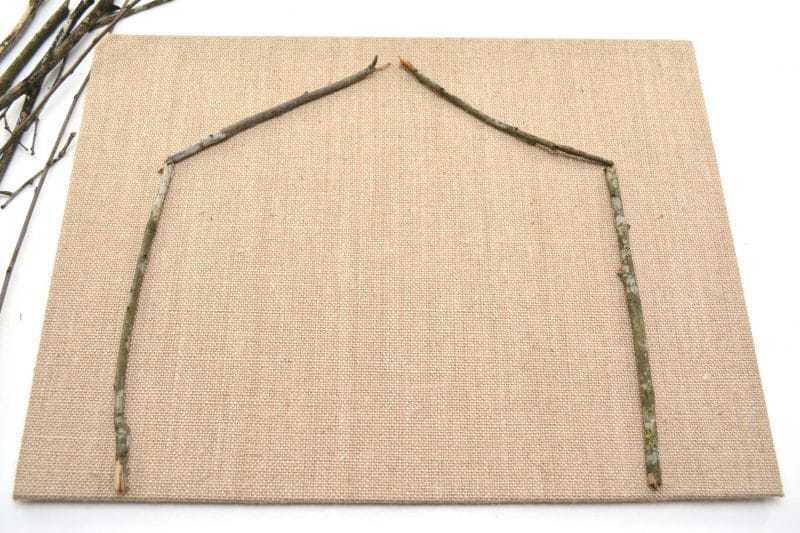 This nativity craft isn’t complicated in the least. It’s something that toddlers can even help with. The real point of this craft is to have fun with the kids while teaching them something important. It’s also something you can display each holiday season and treasure for years and years to come. It will be a special memory to look back on as the time you helped your children learn the true meaning of Christmas. 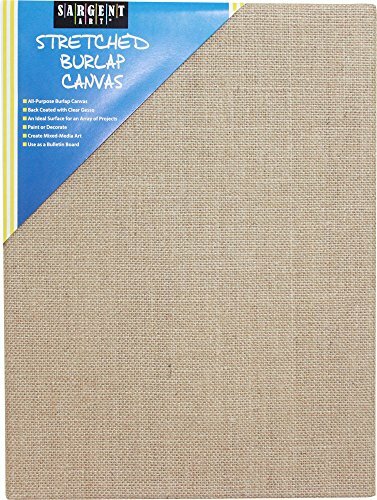 If you want to take things one step further, consider painting a backdrop on the canvas, such as the night sky or what your kids think the stable Jesus was born in would have looked like. 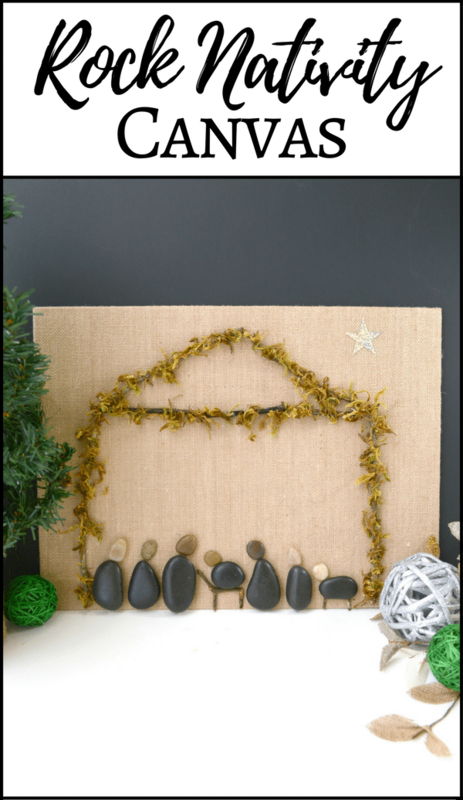 You can find many of the supplies you’ll need for this DIY rock nativity canvas wall art craft at your local Dollar Tree or on Amazon (via links below). 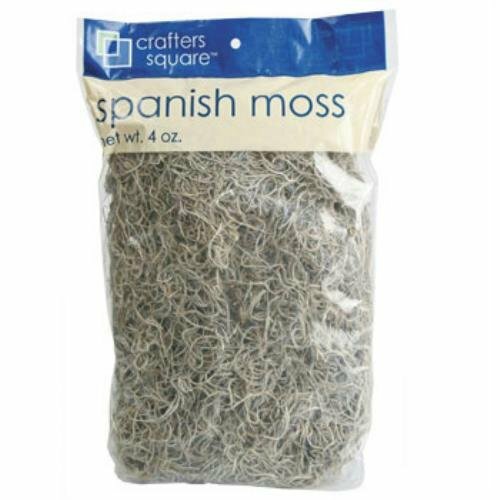 Other supplies you can find by searching in your backyard – and get your kids to help find them too! 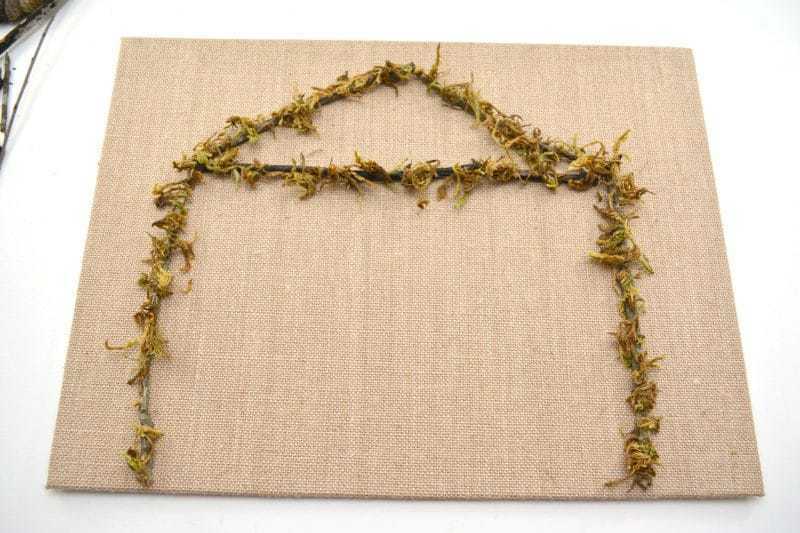 First, lay out the twigs in the shape of a stable on the front of the burlap wrapped canvas. Make the stable large enough to hold all of the nativity characters you plan to include on your canvas. You can view the photo for an idea of the basic shape you need to create. 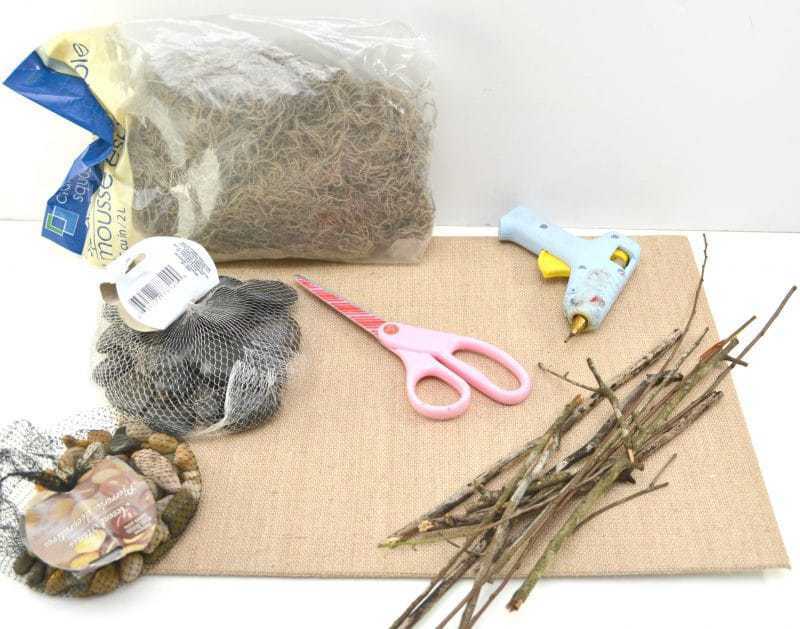 Then, glue the twigs into place with a hot glue gun once you have them arranged where you would like them to be. 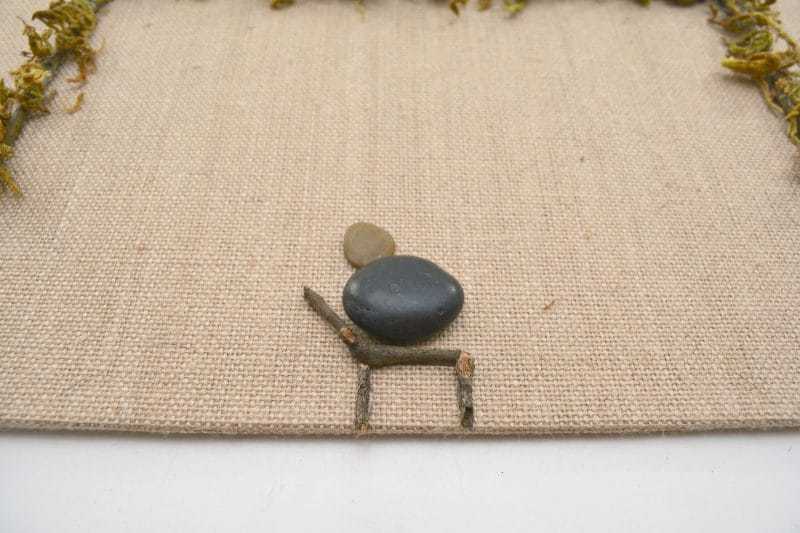 Next, create other nativity characters of your choosing out of the larger flat stones and the small pebbles. These can include Mary, Joseph, wise men, shepherds and even sheep. 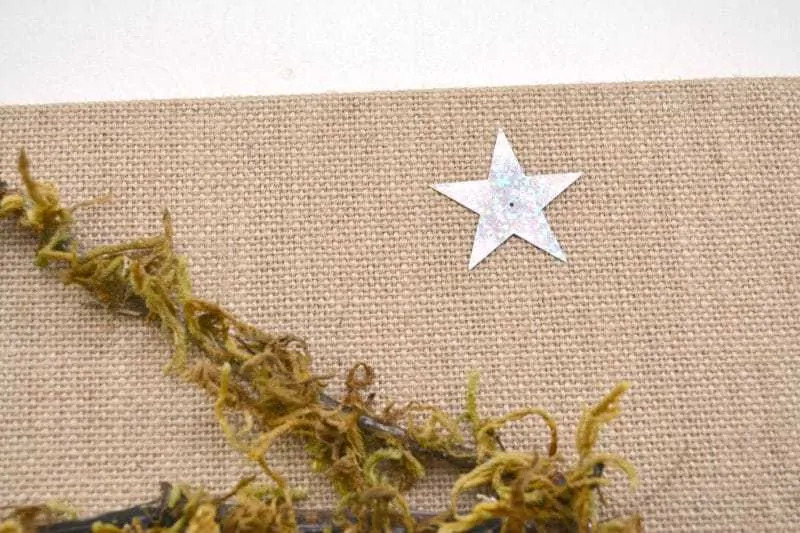 Finally, glue a large star shaped piece of confetti onto the top of your canvas above the stable. 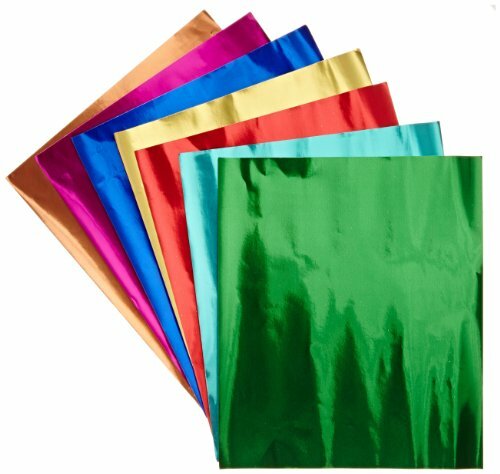 If you do not have a star shaped confetti you can cut a star out of metallic paper. That's it! I hope that you enjoyed this Rock Nativity Canvas wall art DIY project, and that your canvas nativity scene is something you can look back on for years to come. Sharing the story of the birth of Jesus is something that all Christian parents should do with their children. No matter how young they are, it’s always a good time to let them know the story behind why we celebrate Christmas. What a lovely way to remember Christmas. Wow!! I LOVE this!! So pretty and I am so in love with nature that it’s just perfection! This is such a fun and adorable craft to do, I know my oldest daughter would love helping me make one. And the youngest two can help collect supplies 🙂 Thank you so much for sharing! This would be really fun for the kids. Oh my goodness! I love this! The simplicity of the rocks really goes well with the Nativity. Beautiful. Very creative and I love it ! !